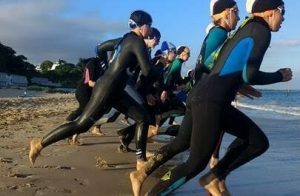 Branksome Chine Surf Lifesaving Club will be hosting the 2019 SLSGB National Surf Championships. The essence of Branksome Chine Surf Life Saving Club (BCSLSC) has always been about ensuring safety for the local community in the nearshore sea, whether through promotion of public awareness of how to use the sea safely, actively patrolling the local beaches or through the development of club membership and surf life-saving sports training and competitions. BCSLSC is a voluntary organisation (registered charity) that started in 1990 and now has circa 250 members with ages ranging from 8 to 80, the club operates solely on donations and grants and all members provide their time to the Club and Community for free. The Club has always prioritised an inclusive approach to all activities, with the skills learned by members and course attendants providing valuable life skills that can be carried across other personal and professional activity. BCSLSC is very proud to have been given the opportunity to host the 2019 and 2020 SLSGB Surf National Championships.